I just got an email from Apple saying “OS X Yosemite Beta is now Available”. If you have any of below questions then you are at correct location. Apple releases OS X Yosemite Public Beta. How to download it now? OS X Yosemite public beta: What you need to know? Here are the quick steps to get your OS X Yosemite’s Beta Copy. Step 2) Click on Sign In. Step 3) After login scroll down and click on “Get OS X Yosemite Beta Redemption Code”. 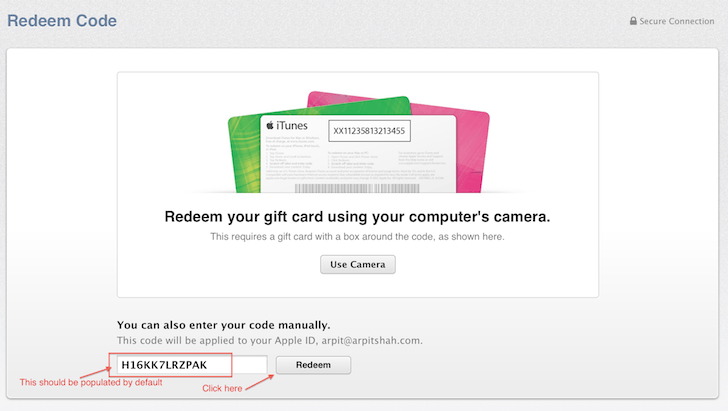 Step 6) “App Store” window will open with Redemption Code Inside. Step 7) Once clicked on “Redeem” button you should see “Successfully Redeemed” message. Step 8) Move to “Purchases” tab. Let me know what you think about New MAC OS X in below comment section.